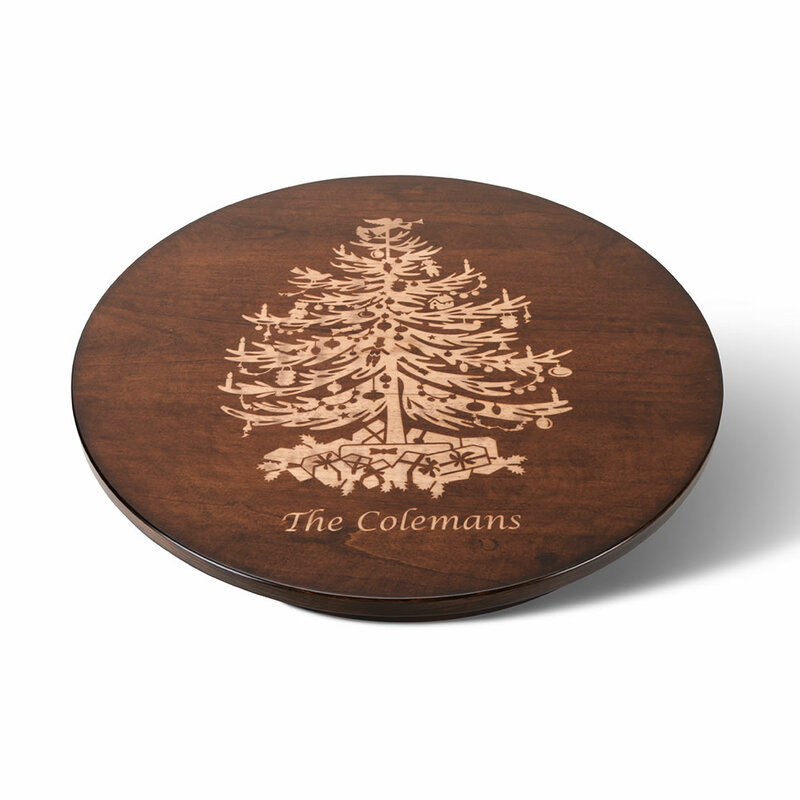 This is the personalized wooden lazy susan centerpiece decorated with your choice of a Christmas tree or wreath. 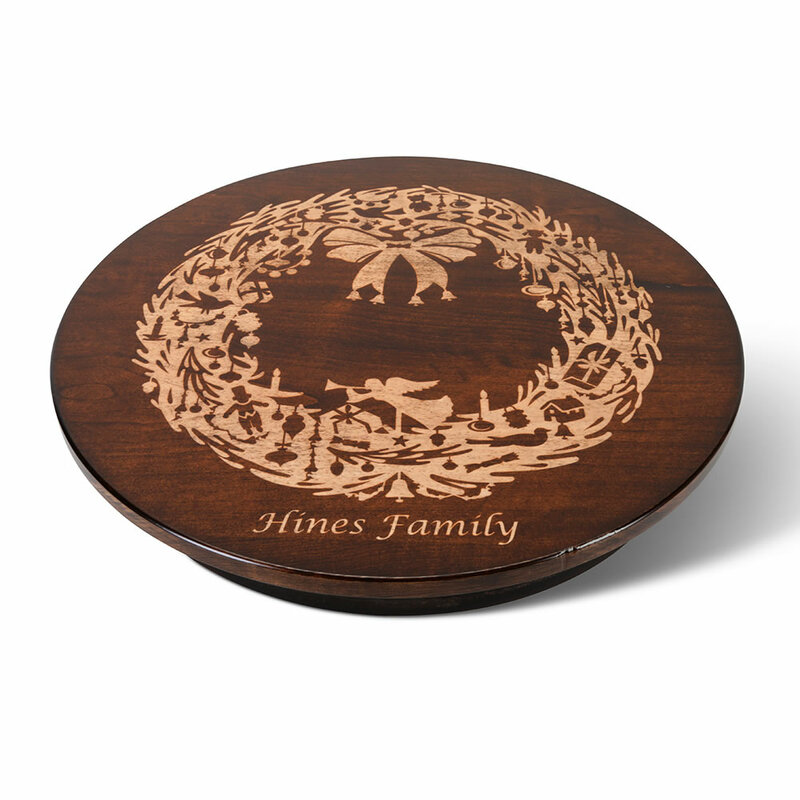 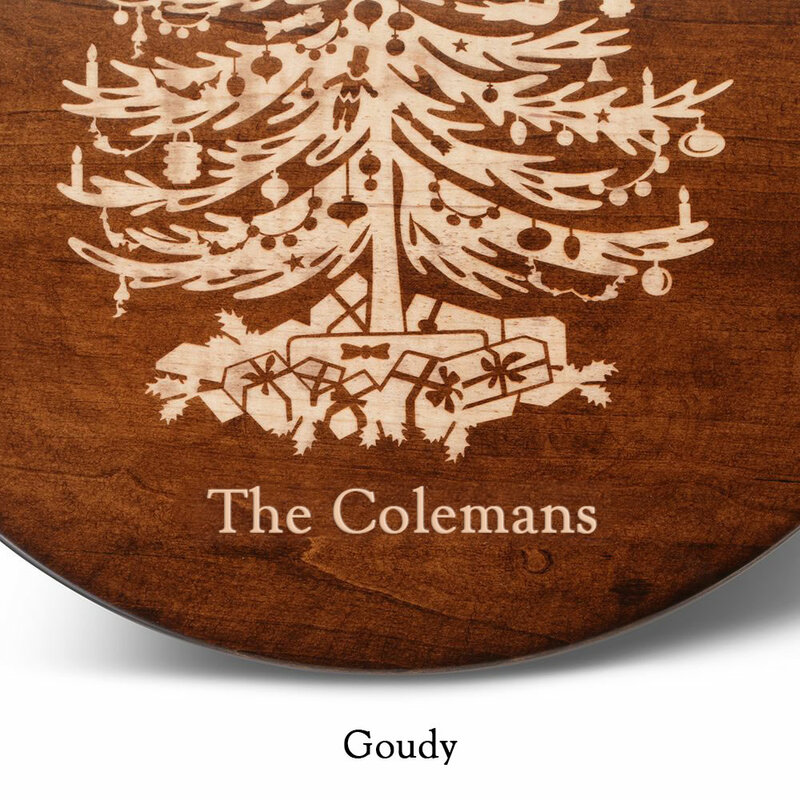 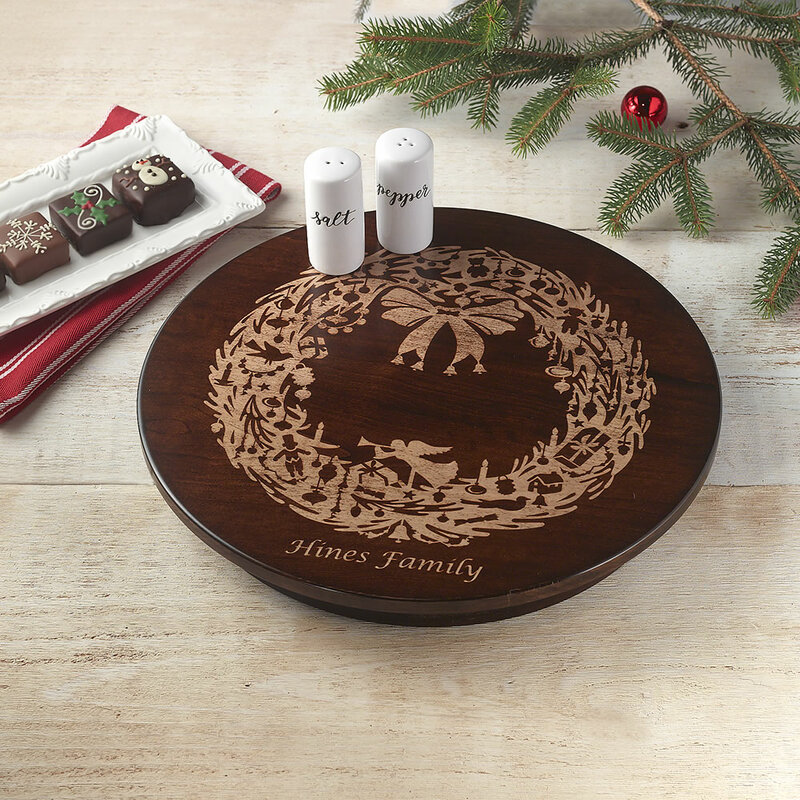 Precisely cut from maple hand-harvested for consistent grain, the lazy susan’s surface is stained and polished, while a laser engraving removes the stain to reveal the outline of either a Christmas tree or wreath. 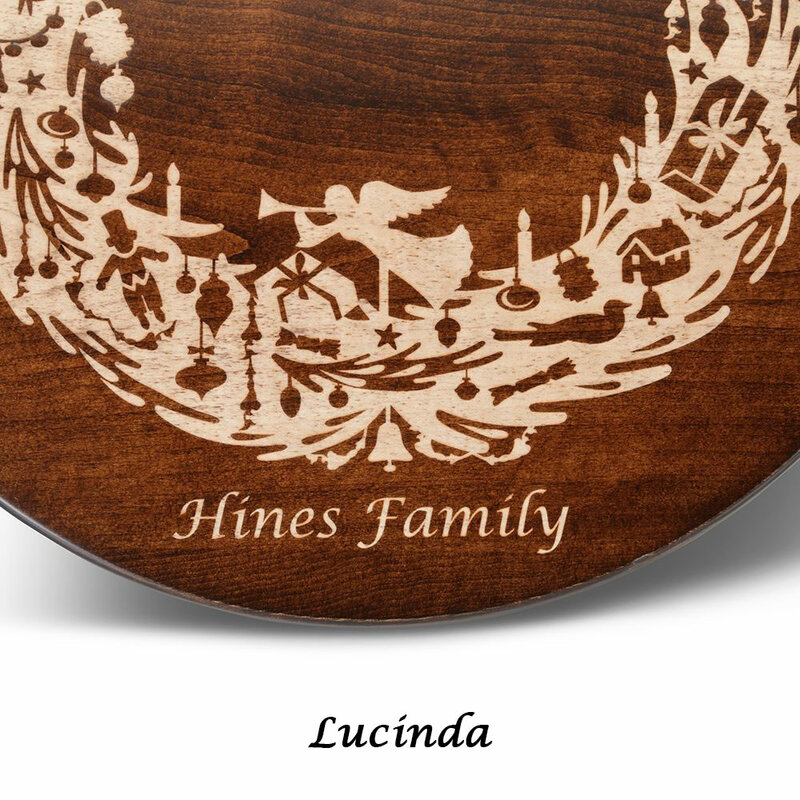 May be personalized with a family name up to 15 characters in length using either Goudy or Lucinda fonts. 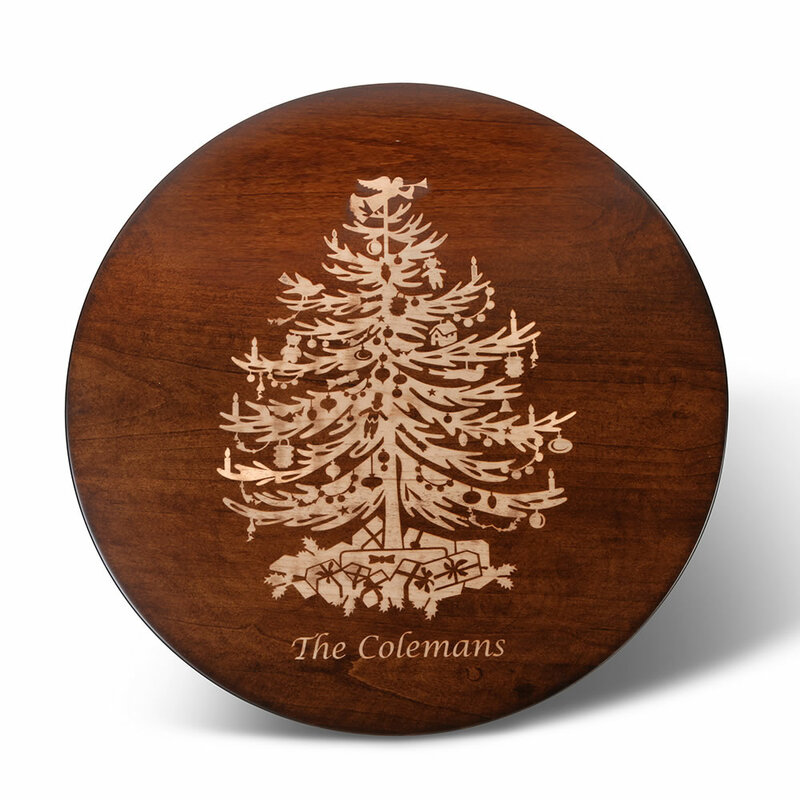 Turns smoothly on a ball-bearing plinth that delivers reliable performance for years. 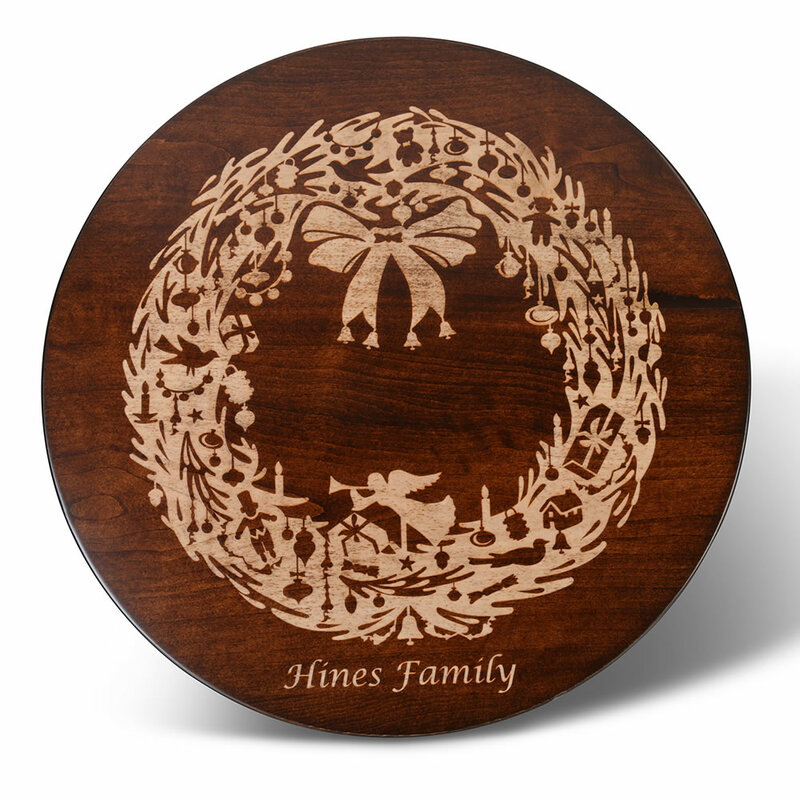 2 1/4" H x 16" Diam. (10 lbs. 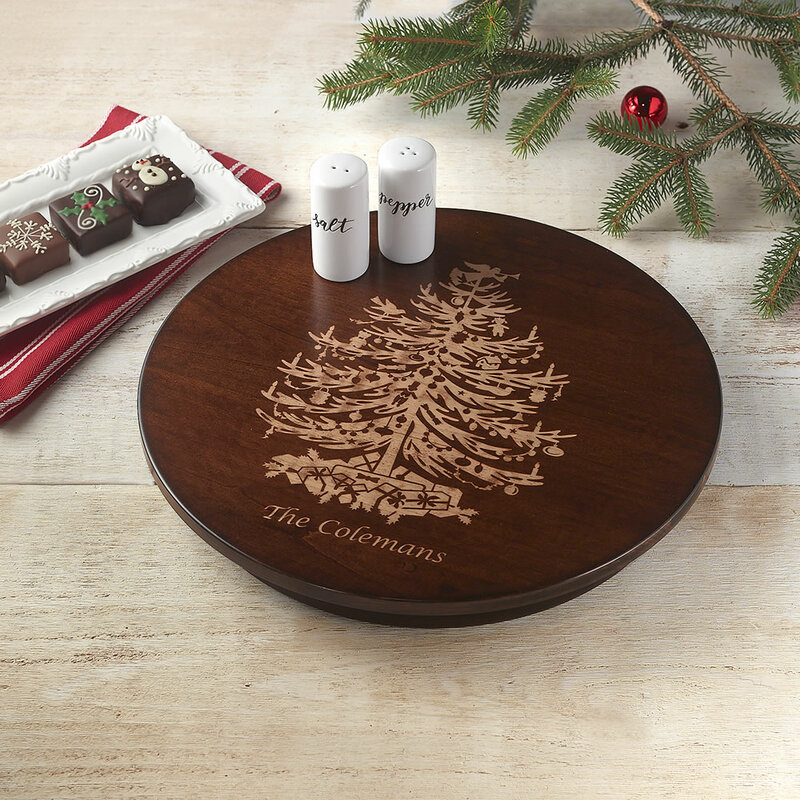 )Christmas Tree.